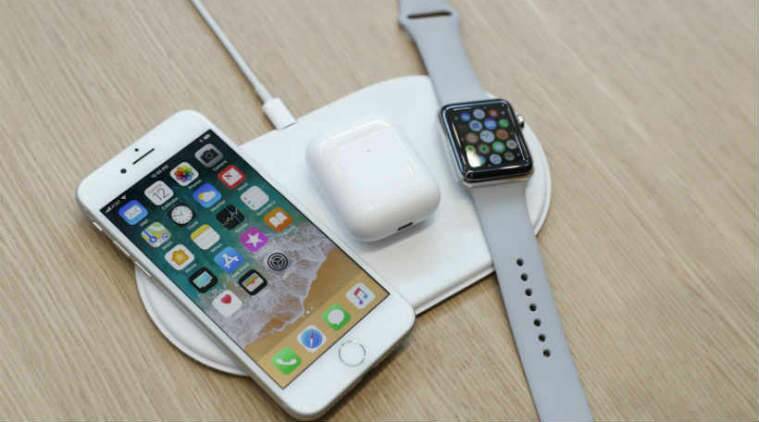 Apple September 12 launch event: Apple will launch its new lineup of iPhones and more at the event being held at its headquarters in California. Apple iPhone, iPad, Watch Launch Event 2018 Live Streaming: Apple will host its annual launch event at its headquarters in California. The event will see the global launch of the iPhone Xs, besides introducing new iPad Pro for 2018, Apple Watch Series 4 and more. The event will be held at the Steve Jobs Theatre, part of the company’s Apple Park base. The time of the event is set for 10 am PDT on September 12. For the launch event’s Indian viewers, this will translate to 10.30 pm IST. Apple will host a livestream for their annual launch event, which can be viewed on Apple devices (iPhone/iPad/iPod/Mac). Those who wish to catch the event from a Windows 10 PC can do so via the Edge browser. Apple AirPod 2 will come with Sir-integration, according to Bloomberg. The next-generation AirPod will also have better water-resistance. The new AirPods could get a new wireless W2 chip for improved Bluetooth connectivity, with support for active noise-cancelling and HomePod support as well. Apple could also launch an affordable MacBook Air at the event. As per a Bloomberg report, the MacBook Air will continue with a 13-inch screen, and it will have a design similar to the current model. The upcoming MacBook Air is said to support Touch ID and will be powered by Intel’s 14nm Kaby Lake processor. Ming Chi-Kuo claims that the new MacBook Air could be priced below $1,000. iPhone Xs, Xs Max and Xr names have been confirmed for the upcoming 2018 iPhone models ahead of launch today. The names were spotted by ATH in a product sitemap XML file on Apple.com. The page also reveals that the new Watch series will be called Apple Watch Series 4, and it will be available in 40mm and 44mm sizes. The third iPhone that will be launched by Apple might be called iPhone Xr or iPhone Xc. While the latter name was used for the major part of its leaks, Apple might instead name the phone iPhone Xr. This will come with a notched display, which is expected to feature a 6.1-inch LCD display. While it will have a glass back, as the other two iPhones, it is expected to be enclosed in a stainless steel frame. Also it could come with a single rear camera, unlike the dual rear camera configuration on iPhone Xs and iPhone Xs Plus. You can find more details here. Apple will follow the notched design of the iPhone X launched last year, and will launch the iPhone Xs Plus with a bigger display. This device, to have a 6.5-inch display size, will also be an OLED phone, with thin bezels. While the flagship iPhone will run iOS 12, and come with Apple A12 chipset, it will not have a triple rear camera setup that was rumoured earlier. 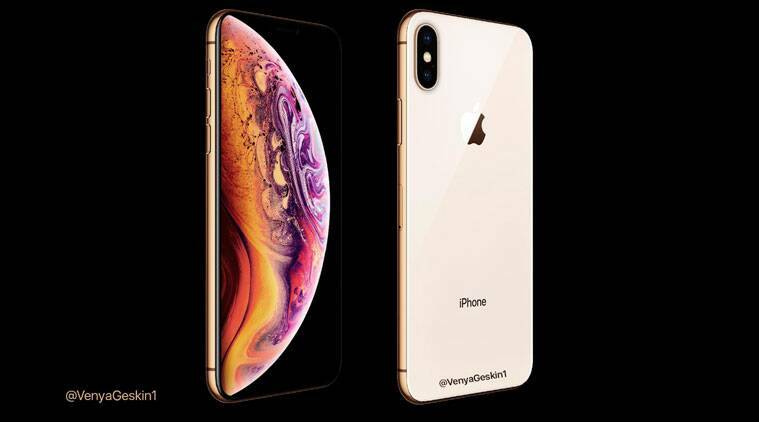 The smallest of the three iPhone expected to be launched by Apple is dubbed iPhone Xs. Of its many features, iPhone Xs will have a 5.8-inch display, which is the same size as the one seen on iPhone X. On the design front, this phone would have an OLED display, alongside an edge-to-edge design. Of course, the device will be based on iOS 12 and run the A12 chip, which could also hold key to its many capabilities. iPhone Xs is expected to feature dual rear cameras, as well as a front sensor with Face ID. While camera enhancements are expected on this phone, their nature is currently unknown. While a dual SIM variant cannot be guaranteed, Apple could be expected to announce the availability of an iPhone Xs variant that is compatible with 5G services. While the news regarding the number of new iPhones has been known for a while, Apple will officially disclose the names later today. As per the speculation, these devices might be names iPhone Xs, iPhone Xr, and iPhone Xs Plus. Like the iPhone X, each of these phones will come with a notch over the display. The main difference is in terms of the display size. While iPhone Xs will feature a 5.8-inch OLED display, iPhone Xr will have a 6.1-inch LCD display, while iPhone Xs Plus will offer a 6.5-inch OLED display. Among other things, one of the most keenly awaited announcements around the Apple launch event is of iOS 12. Among its new features, besides improved performance, iOS 12 will come with group FaceTime with up to 32 people at a time, creating Memoji’s and using them in messages, ARKit 2.0 with shared experiences. Other enhancements that are expected include improved search APIs for Photos app, Portrait Segmentation API, Siri suggestions, as well as screen time division. Among the iPhones to receive iOS 12, Apple has confirmed that all iPhones starting from iPhone 5s will be eligible for the update. Other devices include iPads upto iPad mini 2, 9.7-inch iPad Pro, iPad Air and the 6th generation iPod touch. At today's event, one can also expect to see Apple launch its newest smartwatch, Watch Series 4. It is speculated that Apple Watch Series 4 could have a bigger display than Watch Series 3, and it will be capable of showing as many as eight widgets at the same time. The Apple Watch 4 will have a bezel-less design similar to the iPhone Xs series, and will likely sport solid state drive (SSD) buttons, not physical buttons like the earlier variant. It is possible that Apple could announce an 11-inch iPad as well. One will have to wait for the launch event, though, for the finer details. The event, as mentioned begins from 10.30pm local time. Those who are interested in catching the iPhone Xs launch event should note that, like on previous occasions, Apple will not host its livestream via YouTube. Those who own any Apple device, like iPhone, iPad, Mac or iPod touch, will be able to view the event from the Apple website. Those owning Windows 10 PCs need not worry, as the keynote address will be available for them as well. To know how one can catch the action from Apple Park live, click the link here. At the Apple launch event, the prime focus will be on the company's most popular product: the iPhone. Apple will launch three new iPhones this year, which have been dubbed the iPhone Xs, iPhone Xr, and iPhone Xs Plus respectively. Building on the iPhone X, which was the popularised the notch display, the company can be expected to go further ahead in terms of specifications and functions of these iPhones. Rumours that are doing the rounds also indicate that the premium device, or iPhone Xs Plus, could cross the $1000 pricing that Apple had set for the iPhone X last September. Like last year's event, Apple will hold the launch at the Steve Jobs Theatre, that is part of Apple Park in Cupertino, California. As per the official event invite, the show begins from 10am PDT, or 10.30pm IST. The expectation is that Apple will launch three new iPhones: iPhone Xs, iPhone Xr and iPhone Xs Plus; two new iPad Pros, new Apple Watch Series 4 (of which one will be LTE compliant), improved AirPods and possibly a new MacBook Air. On the software side, the Cupertino-based company will also announce the launch of iOS 12, as well as the working of Apple A12, its newest SoC. Apple will launch a slew of devices at the Steve Jobs Theatre on September 12. These include the three iPhones: 5.8-inch iPhone Xs, the 6.1-inch iPhone Xr, and the 6.5-inch iPhone Xs Plus. The iPad Pro 12.9 (2018), as well as Apple watch Series 4 are also expected. Other products speculated are the MacBook and AirPods 2, though the former might not be revealed today. From the iPhone lineup to be announced, it is confirmed that these devices will run Apple A12 chip, and be based on iOS 12. 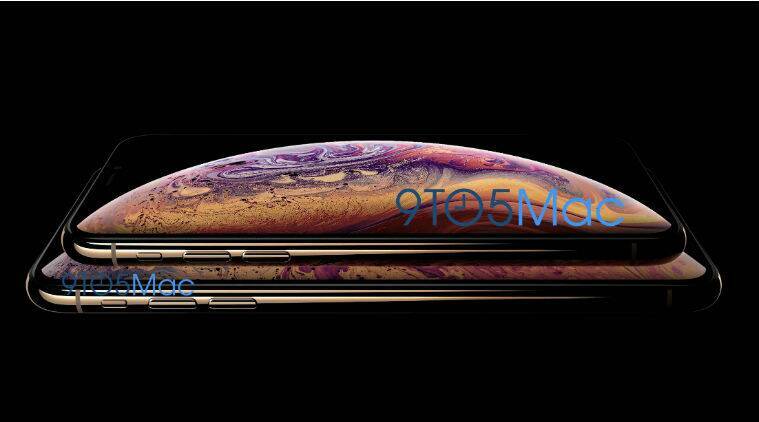 Other expected features are the notched OLED display for the iPhone Xs and iPhone Xs Plus, that will have screen sizes of 5.8-inch and 6.5-inch respectively. Apple will also announce a new iPad on September 12, the iPad Pro 12.9 (2018). Among other things, the big change is that Face ID will be extended to this device. Meanwhile, Apple Watch Series 4 will include a larger display, that will also show more information than earlier. While the screen will be able to handle as many as eight widgets, this Apple watch will ditch a physical button, to replace it with a solid state drive (SSD) button, that would be based on haptic feedback.